5 different Road sections that can be duplicated and used in many different formations. Card stock model. 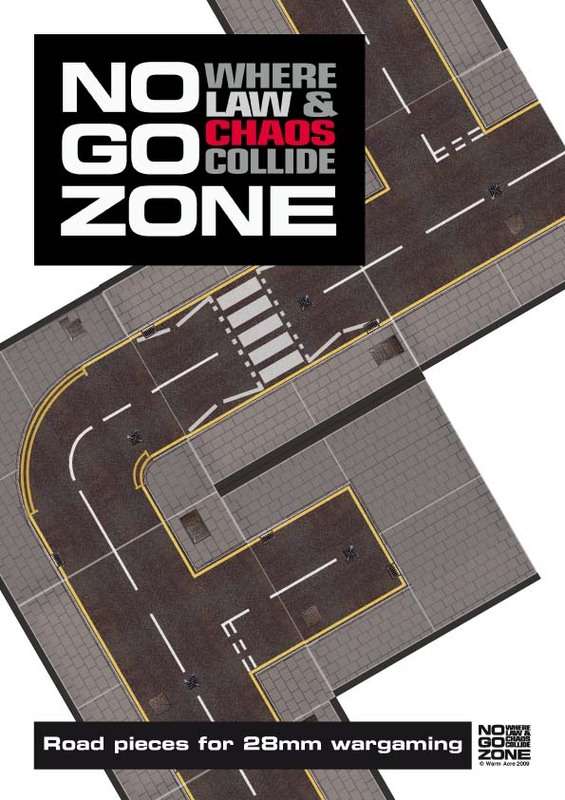 These roads are available in the rule book of No-Go-Zone but with game specific icons on them which have been removed from this set. You do not need to download this to play the game if you have the NGZ Rulebook, but it would be cheaper to download these if you require extra roads and have purchased the printed rulebook. Assembly required, print out on card stock or paper and glue to card. To give a 3D look, cut the pavement sections from the roads and paste onto thick card to make them higher than the roads.